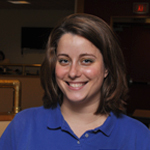 Colleen DeMoss is in her first year at Dining Services as a Dining Hall supervisor. Colleen helps keep all areas of the Dining Hall running smoothly including both front and back of house operations. Outside of work, Colleen enjoys the outdoors and sports. Excitement bubbles across campus as we near the end of the spring term. Three classes rise and one graduates, moving on to the next phase of life. Employees such as myself in dining services love this time of year and enjoy being a part of the lives of students and, hopefully, playing a positive role in the Dickinson experience. We care little of budget concerns when it comes to our students: my goal is to give all employees the best resources available to do their jobs well and to help our purchasers and cooks source the highest quality ingredients for our customers. I am very proud of our new management team and how they have responded to the challenge of putting the right resources where they need to be. And I’m proud of all they have done in the last eight months, not to mention what the entire dining services team has accomplished in the last two years. Team members have adapted well to extending meal hours in the cafeteria to improving the quality of food preparation and service. Retail team members helped us expand the acceptance of reusable containers in Union Station and The Quarry, added the very popular Faculty Feature Sandwich, made an overwhelmingly successful and popular new option with Mai Bowl, and added a hot Grab & Go breakfast sandwich through the week. Our executive chef is feverishly working to improve culinary training and procedures while developing an impressive overhaul of The Caf menu. But we are not looking past what is yet to be done in the coming weeks. You can still look forward to final exam treats from dining services and other departments, including our Monday Night Late Breakfast. And we’ll be ramping up for the next week’s Caf Faves night to close out exam week as we launch into Senior Week festivities. Good luck with your papers, projects, and exams! We’ll be here for you. 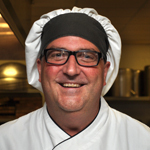 Michael Dopson is in his first year of service here at Dining Services. 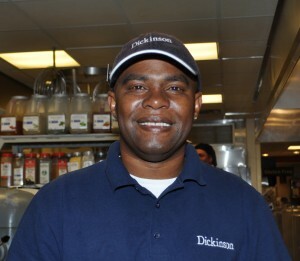 Michael works as a part of our utility staff and helps keep our kitchen clean for our culinary staff. 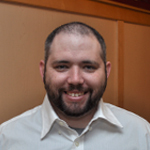 Outside of work, Michael enjoys watching basketball and baseball as well as taking time to relax. 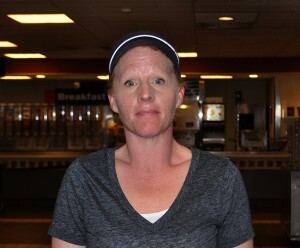 Christine Cohick works in the Dining Hall as an attendant. 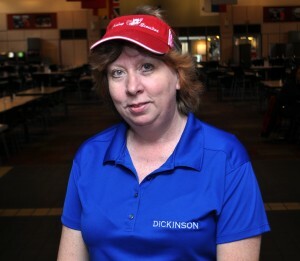 Christine is in her fourth year of service at Dining Services. She provides service in front of house operations in the Dining Hall, refilling stations with food, plates and flatware. When not at work, Christine enjoys serving as a 4-H activity leader, camping and raising goats with her family. The view from the Dining Services kitchen is clear and our direction is forward. 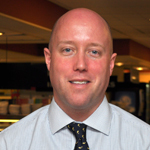 In my first year as executive chef here, I have seen Dining Services poised for the future. A new menu for the fall is in the works for the Dining Hall. Traditional favorites will remain while we’ll look to add new items that focus on global styles and fusion. Authenticity is important when emulating regional foods. 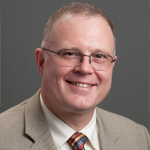 With the availability of previously unobtainable products, these goals are easier to meet. Sustainable and locally procured foods are high on my list of importance. When in season, the College Farm provides us with a wide range of organic vegetables, greens and herbs. We make a concerted effort to use farm products whenever possible. Other local foods are always considered. Look for signage describing local foods. Our catering department is also evolving to meet the needs of our customers. A newly revised catering menu will be available in the near future. A lot of hard work goes into menu planning and kitchen production. Pleasing and meeting the needs of our customers always remains my top priority and ultimate goal. Bon Appetit! As we wind down our spring semester, I would like to take the time to speak about our meal plans, tenders and remaining balances. As the Dining Service’s Office Manager I have met many students who changed their meal plans and have not understood the particular plan they chose. First and foremost, if you are unsure if you are on the correct meal plan and contemplating switching to one of the flex plans from the Any 20 or switching from one flex plan to another, I caution you to make sure you have all of the information to make a correct decision to switch. You may request a copy of your eating history from the ID office at any time Monday-Friday between 8:30-4:30 p.m. Once you receive your history you will need to track your meals to see if it would be in your best interest to switch plans. If you need further explanation about the meal plans, we are available to answer any question you may have regarding each plan. If you switch plans and run out of points, it can get very expensive to purchase points to finish out the semester. Our Any 20 plan offers 20 meals anytime during the week starting with brunch on Sunday and ending late night Saturday. This plan along with the flex plans can be used at any dining service location. The flex plans offer points, dining dollars and meal plan declining balance. Students who are on the flex plans also have the opportunity to purchase catering items throughout the semester using their points, dining dollars or meal plan declining balance. We offer a limited catering menu effective December 1 for the fall semester and April 15 for the spring semester due to the amount of business at the end of the semester. The menu is now available via our website. Additional points can be purchased if you are on the flex plan with meal plan declining balance, dining dollars, student charge, cash, check or credit card. The cost is $75 for 25 points. 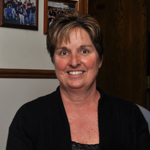 Karen Vandernoot serves as a retail operations supervisor. She is in here second year at Dickinson Dining Services. Karen primarily works at Union Station, fulfilling all roles in the unit. Outside of work, Karen enjoys reading and teaching horseback riding lessons. My name is Derek Landis, I am the warehouse and transportation manager. I have been working at Dickinson Dining Services since May 2005. I joined the management team a month ago after serving as a storeroom clerk previously. I lead a team of two employees and between the three of us we make sure delivery trucks are received and put away in various storage areas in a timely manner while assuring product quality. Prior to the winter break, our gluten-free supplier went out of business. We have been working to find a new supplier of products for our gluten-free customers. About a month and a half ago we discovered Amaranth Bakery in Lancaster, Pa., a specialist in gluten-free products. Amaranth Bakery offers a variety of delicious breads, cookies, cupcakes and whoopie pies. You should be seeing Amaranth products in the Dining Hall and several of our retail locations over the next couple weeks!